2017 is green! But not with envy. No, it’s greenery — the tangy yellow-green of plant life and nature that infuses us with the sense that all is well and nothing bad will happen. For the past 17 years, the Pantone Color Institute has selected a “Color of the Year” — a symbolic colour that represents what they perceive as the main theme, mood or attitude for the world, based on current events, industry trends and global culture. Their choice for this year is based largely on the tumultuous nature of 2016. Which sounds pretty. It really does. But how does Greenery accomplish this? How does it “reassure” us and “rejuvenate, revitalize and unite” us? Working as an interior designer, she has had to identify and avoid or apply specific colours to ensure the final results evoke positive memories for her clients. “After working for some years on various solutions to this dilemma, I developed a method to help my clients discover the colours they will be happiest living with now,” she states. It’s called the Supermarket Test and, according to Ryan, it always works. Colour psychology sits squarely in the subconscious — cultural, ethnic, gender and age differences don’t matter; it will always affect us the same way. It has always been this way. Forty years ago, Angela Wright started exploring the way colours influence us, and she was one of the first to do so. As the daughter of hotel owners in England, she observed that when given the choice between two rooms, identical in every way except colour scheme, guests would invariably have a preference for one over the other. Since then, Wright has worked with academia in the UK to teach the Colour Affects System, a theory she’s developed, to students spanning several industries, from fashion to marketing. She also owns and operates Colour Affects, a consultancy firm helping businesses incorporate colour into their brands, and wrote The Beginner’s Guide to Colour Psychology. The Colour Affects system developed by Wright explains these effects through several stages. The first is recognizing that each of the primary hues — red, blue, green, yellow — affects us in different ways. Yellow targets emotion. “Yellow acts on the emotions, the ego and self-confidence,” say Wright. This is one of the reasons it is seen as a happy colour and tends to lift moods. The other seven basic colours — orange, purple, pink, grey, black, white and brown — fit within those four different effects. For example, purple is a blend of blue and red, which gives the sense of luxury— a physical feeling akin to being pampered — while also stimulating the mind to indulge in that extra dessert. Applying Wright’s Colour Affects theory to get the most out of your interior design, you need to use the right hues to subconsciously direct yourself and your guests. This means using blue (or hues/tints/tones/variations of) in rooms where intellectual pursuit and mental focus is required — like the office or a study room; using yellow in rooms where you need to be pumped up, excited or confident; using red in rooms where energy, activity and other physical requirements need to be met; and green is for rooms where calm, harmony and balance reign (why does a yoga studio keep popping up in my mind?). If you’re not ready to commit to a full paint job of your home, add a plant or three; if you have a black thumb like me, a fake plant works too. Bring green to the table by adding more to your plate — a splash of colour in a dish is better emphasized when placed on a bed of lush, vibrant greens. “On the table, Greenery plates and chargers provide an appetizing backdrop for food – making dishes pop and appear fresh. 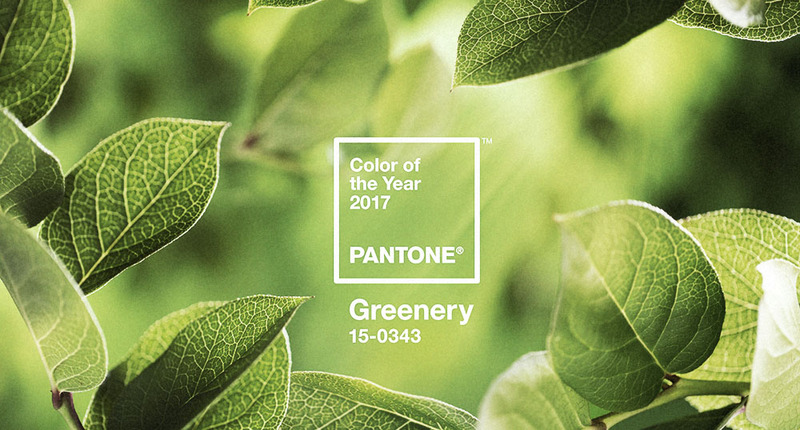 Greenery is also often used in design for the hospitality and culinary industries to convey organic healthfulness,” reads the Pantone press release about its Color of the Year. There is, of course, more to this psychology than just how one colour plays on our subconscious. We have to consider how they work together. Wright explains this in the two steps of her Colour Affects system. The first identifies the four basic personality colour groupings — warm, cool, bright and soft; the second separates these four groups into their spectrums — firelight, morninglight, dreamlight and starlight. From there, Wright is able to create a colour scheme that perfectly matches someone’s personality — the four basic colour groups correspond to the four main personality profiles developed by such savants as Hippocrates (four temperaments — sanguine, choleric, melancholic, phlegmatic) and Carl Jung (cognitive functions — thinking, feeling, sensation and intuition). And, well, it should be, since this isn’t the first year Pantone has released a Color of the Year. It’s been promoting this nice piece of marketing for some time now. Some of the industries though may not catch on for a while — especially if there are larger items that need to be created. “Greenery will most likely be seen in apparel this year [but] will be seen in paints, fabrics, wall coverings, flooring and accessories, such as lamp bases, sofa pillows, [in two years],” mentions Ryan. She explains that the interior design industry is about two years behind the fashion industry. In the meantime, incorporate some greenery into your space so that you can find the balance you need to deal with the craziness that was 2016 (which seems to be spilling over into 2017). And, if all else fails, go outside and lie on the grass under a tree. You’ll always be able to find your balance there.